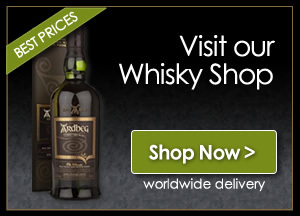 A whisky from Campbeltown's 'newest, oldest distillery', Glengyle. Originally closed in 1925, Glengyle was eventually bought in 2000 by Hedley Wright, the great-great nephew of the distillery's original founder, and re-opened in 2004. 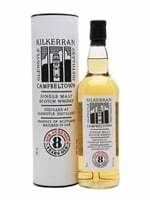 Its whiskies are named Kilkerran both to avoid confusion with pre-existing whisky blends, and to pay homage to Saint Kerran, who had a religious cell in Campbeltown. Kilkerran 8 Year Old is a lightly peated whisky with additional notes of green apples, rhubarb, sea salt, icing sugar and walnut.